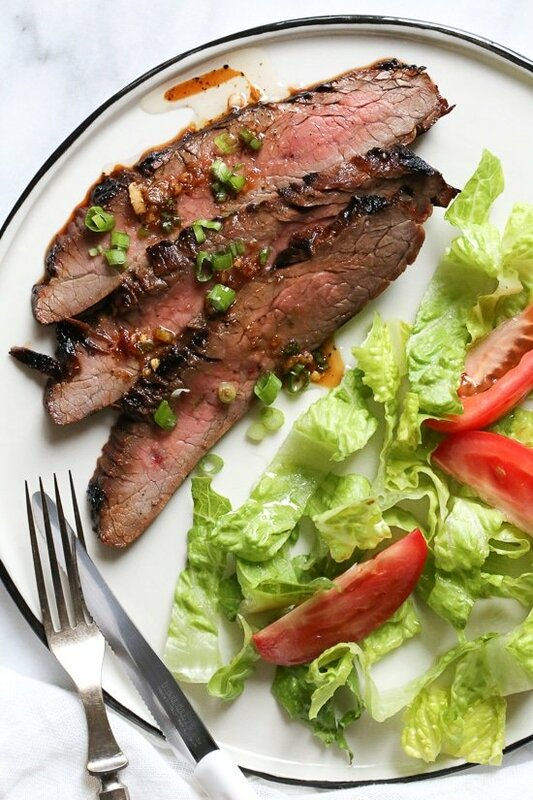 The marinade in this Grilled Asian-style Soy Marinated Flank Steak takes an uninteresting piece of steak and turns it into a mouthwatering dish! I grill flank steak, a lean primal cut with wonderful beefy flavor all summer long. Some of my favorites are Flank Steak with Tomatoes, Balsamic and Red Onion, Flank Steak with Chimichurri, and Flank Steak with Black Bean Corn Salsa.